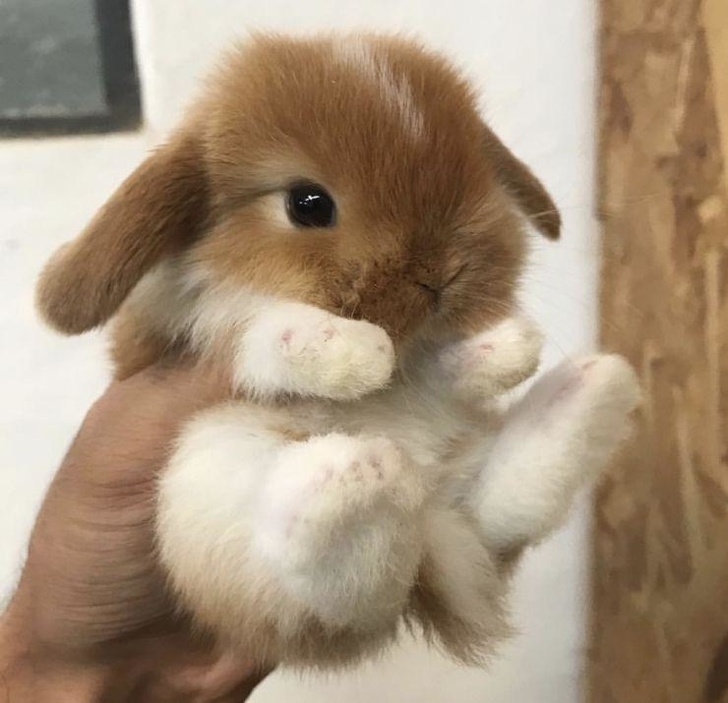 Bunnies are incredible and adorable animals - their unique color coats, long ears, short tails, and paws make them one of the most loved animals on Earth. Hence, we are not surprised that they are associated with one of the widely celebrated holiday seasons across the world - Easter. We have modern traditions to mark Easter which are very common - such as Easter eggs, the Easter bunny, and chocolate. The Easter bunny delivers candy and presents to children all around the world through the help of its friends during the Easter holiday. This is what fosters the Easter spirit in us. 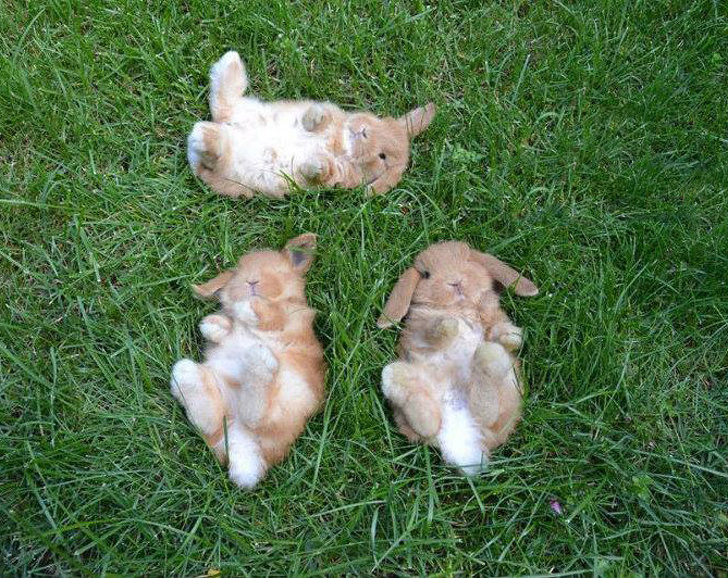 We have loads of adorable pictures of bunnies that would immediately ignite the spirit and enthusiasm of Easter in you. Enjoy! 30. 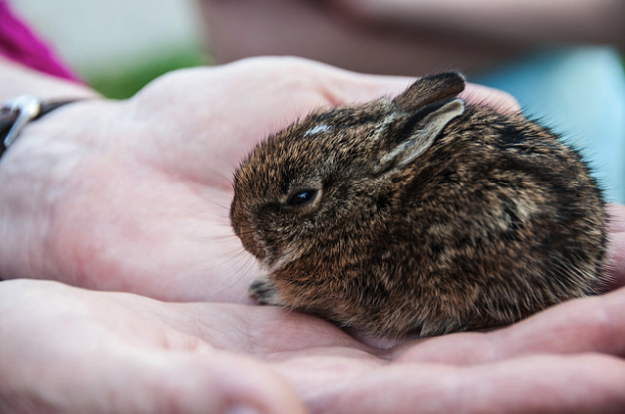 Did you know that 'kitten' is the scientist word for a baby rabbit? Now, who wouldn’t want to own this little kitten? 29. 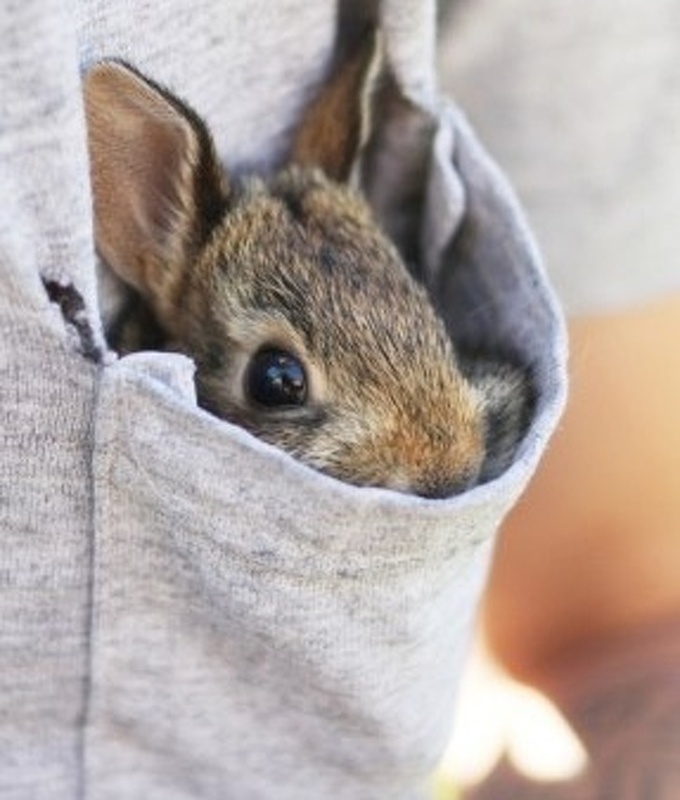 This bunny seems worried or anxious ... we are glad it found a perfect hiding place - it's owner's pocket! 28. Aww! 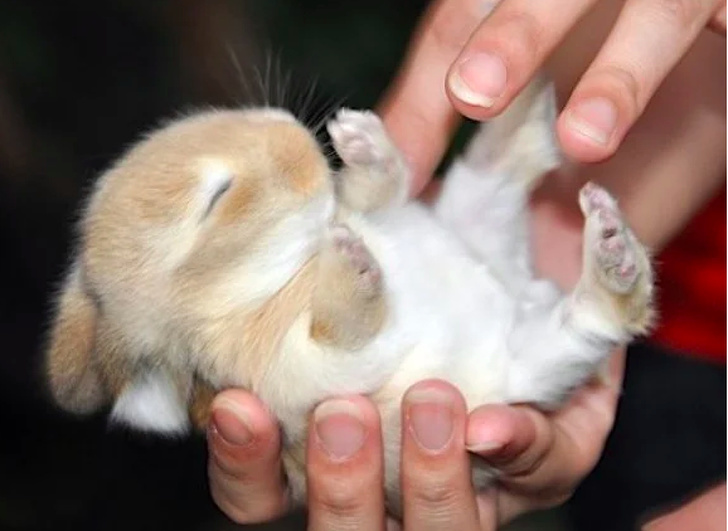 This baby bunny feels so at home in the palm of its owner. 27. 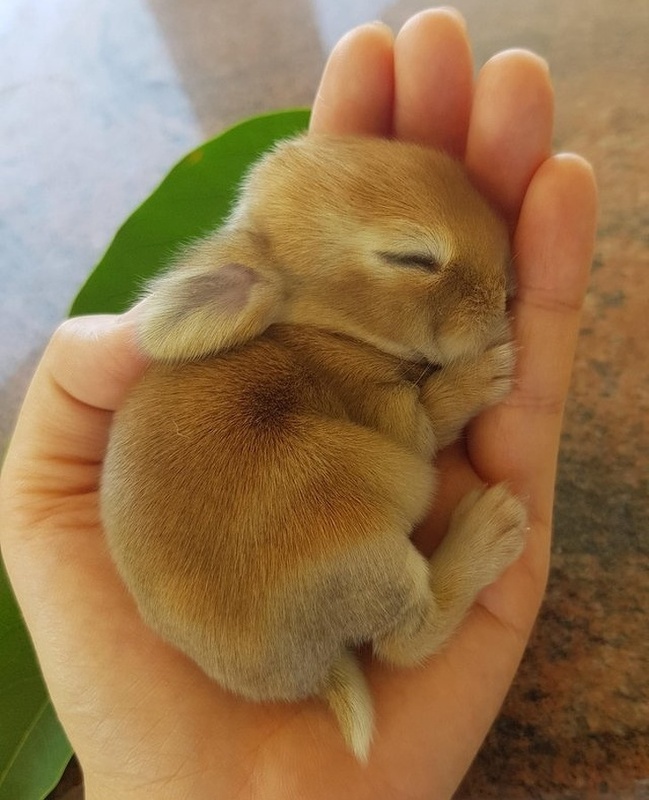 Have you ever had the chance to hold a bunny in your hand? Trust us, the feeling is incredible! 26. 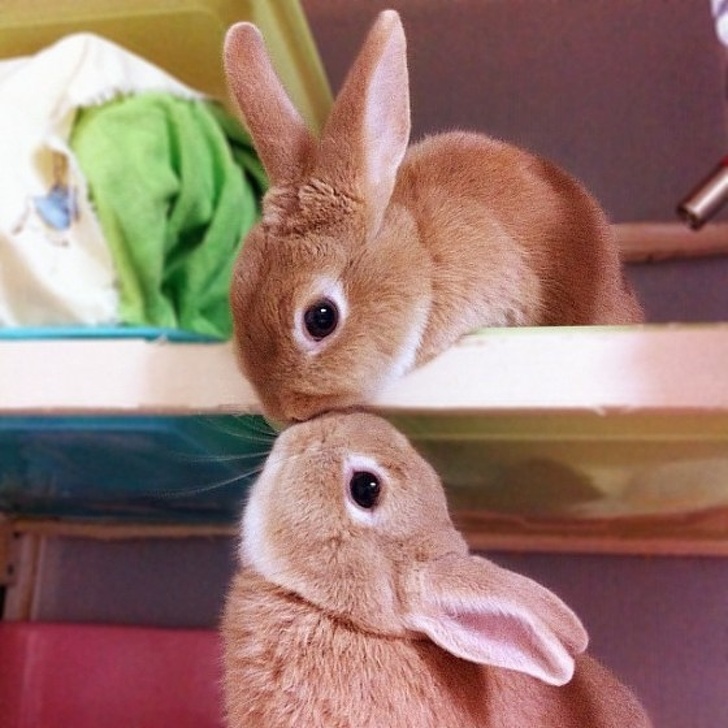 These two lovebirds know how vital a kiss from a lover is, so they're not starting their day without it. 25. What's the best way to bond and hang out with friends? Enjoying a sunny day together. 24. Who says yoga is just for humans? 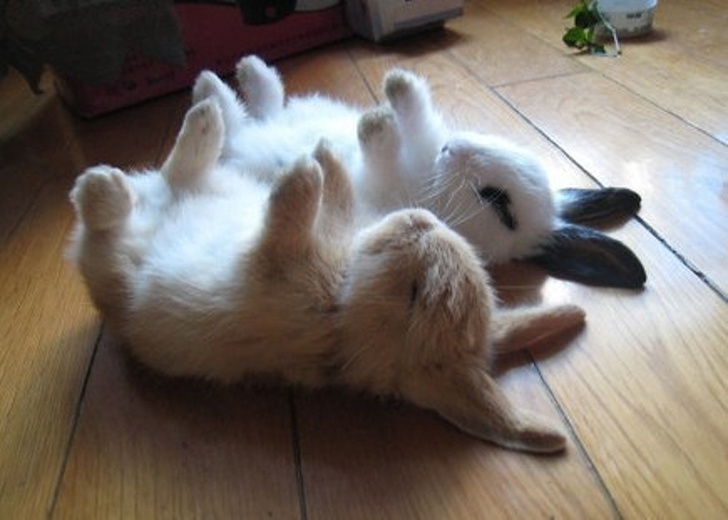 Bunnies look incredibly enchanting when they stretch. 23. Can anything be more appealing than this? It's remarkable how something so beautiful could fit into the palm of our hands. 22. 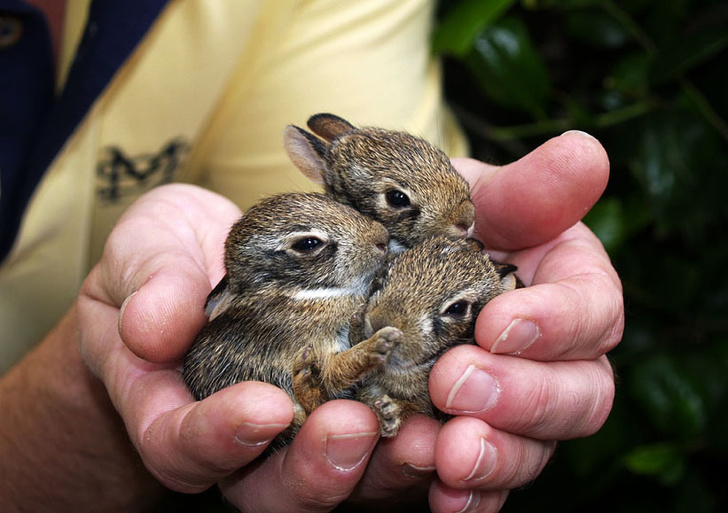 Adorable little bunny triplets. 21. Sometimes two is better than one, right? 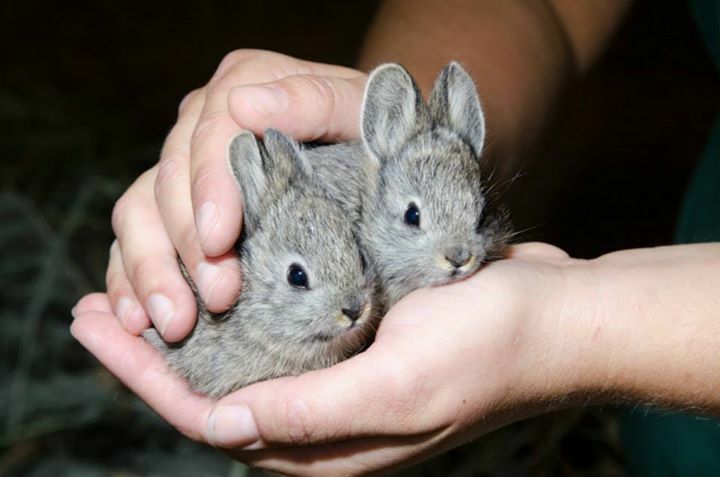 We'd name these cuties: Flopsy & Mopsy. 20. 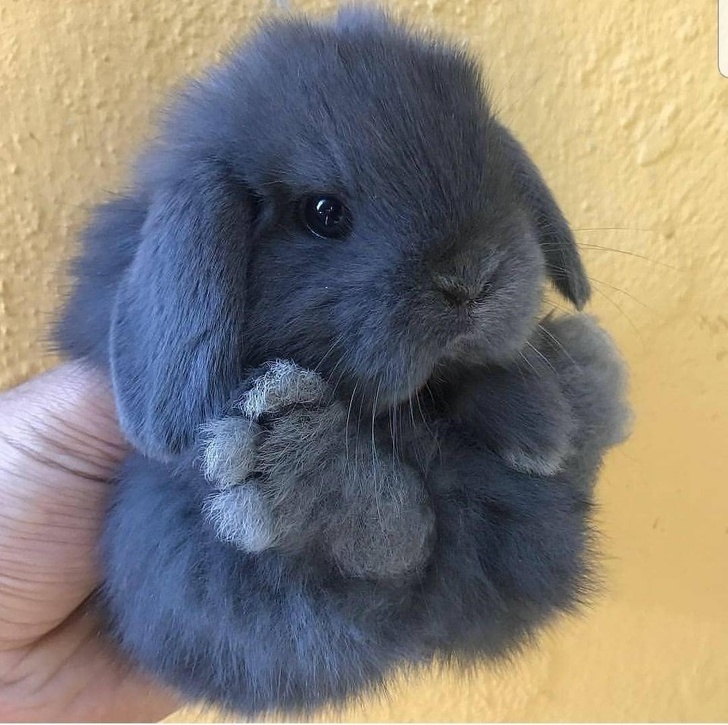 This fluffy baby bunny looks like an Easter egg. You agree, don't you? 19. This is so relatable; this is how we feel when we drag ourselves out of bed in the morning and try to mulch our breakfast cereals. 18. 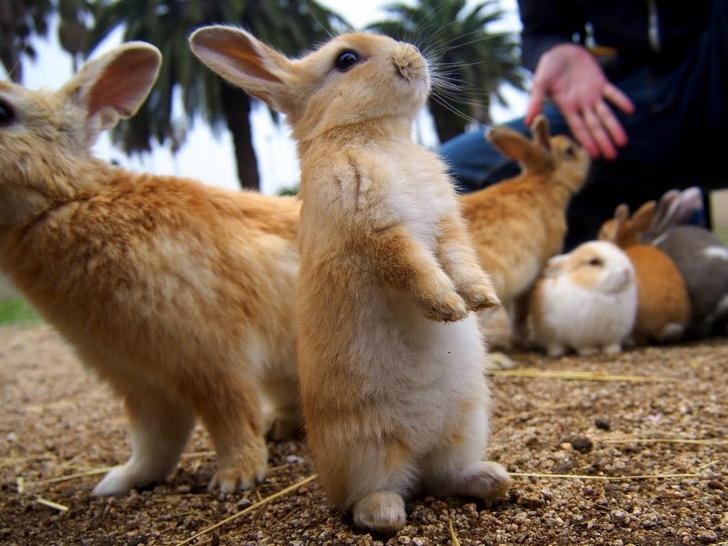 Striking a human pose is an easy feat for bunnies too. 17. 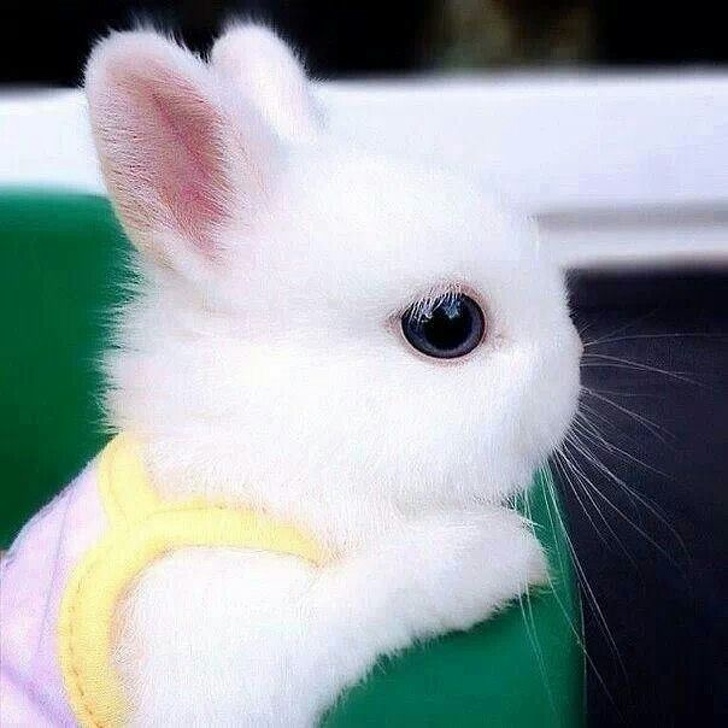 No child will ever want to refuse something this cute as a pet! 16. Not many of us look this ravishing and gorgeous while sleeping. It's the truth, and we know it! 15. 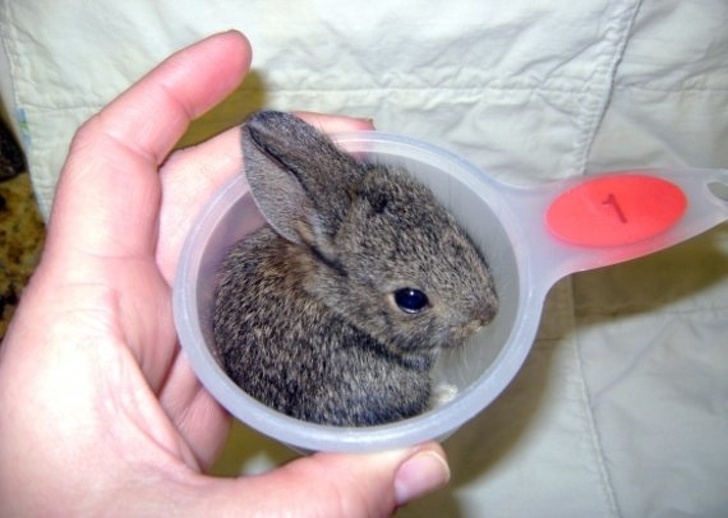 Being tiny isn't such a bad thing, at least you can adorably fit into any small space - even a small cup. 14. We'd call this one Ruby. Unlike many of us, Ruby is an early bird, and she seems prepared to start the day already! 13. 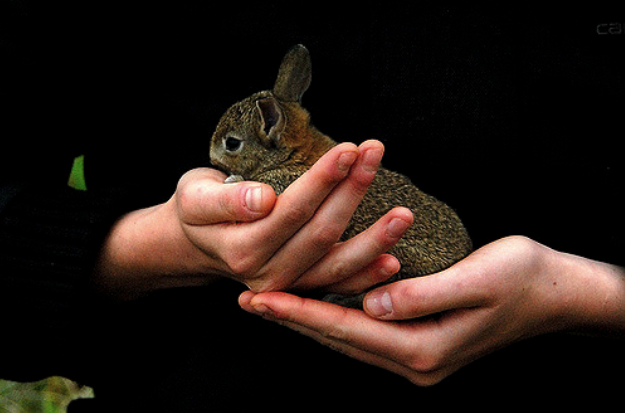 Just because bunnies are the most adorable pets on Earth (sorry cats and dogs), we will always want to hold them close. 12. 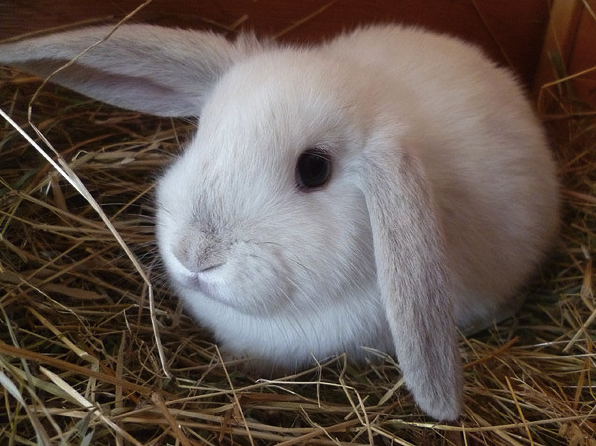 As white as snow, and as fluffy as cotton balls; this is the perfect Easter bunny for Snow White! 11. 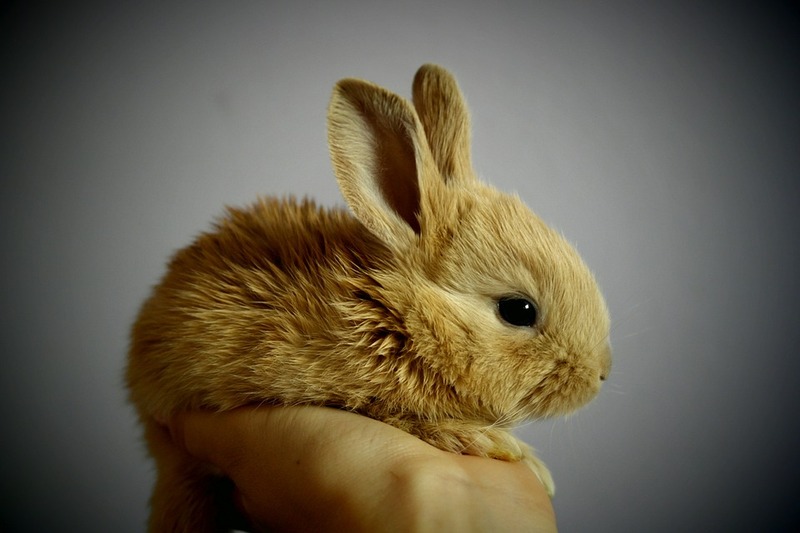 Other pets will kill to have this excellent and unusual coat color. 10. 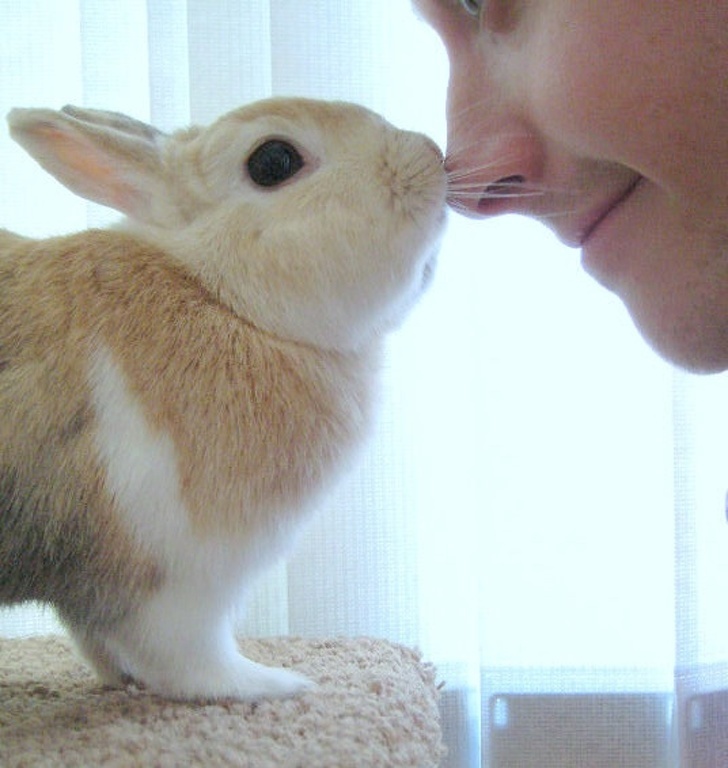 This is one of the little ways rabbits show that they care about us a lot. So affectionate! 9. 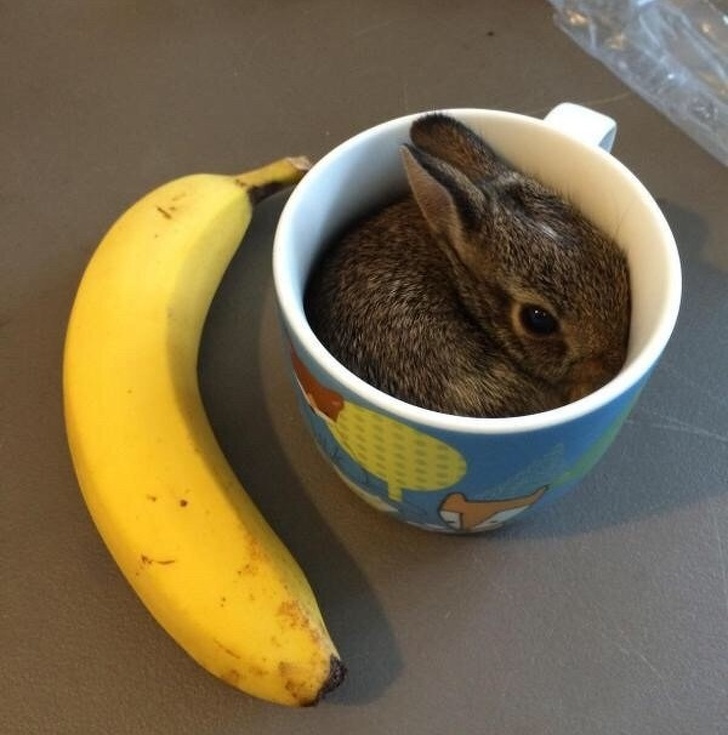 Don't you wish you could be this tiny and cute, so you'd be able to fit into a mug effortlessly? 8. 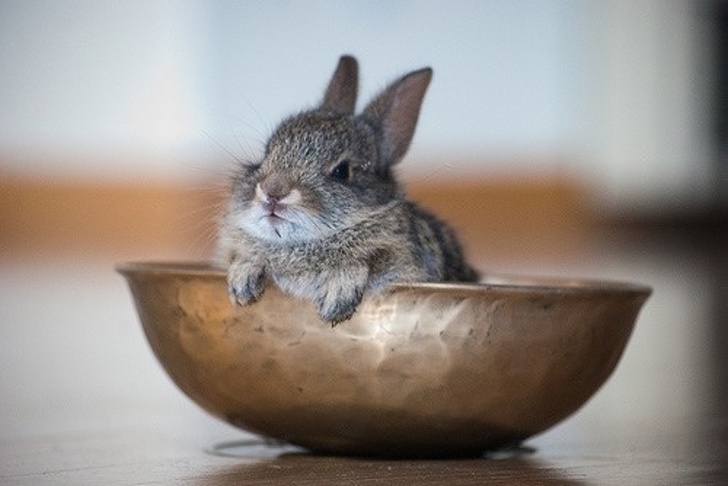 “I can see you from my new metal-play-pan,” says this frisky bunny. 7. What could be more jaw-dropping than this? 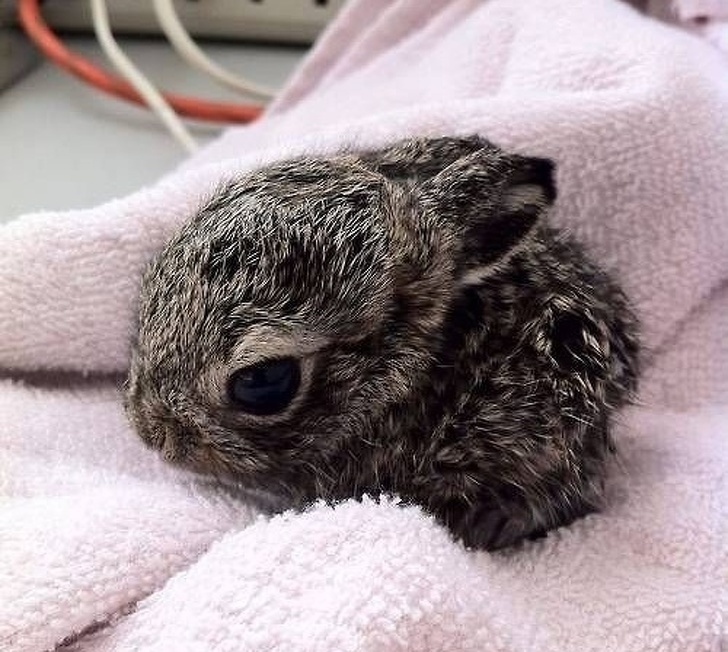 Black fur is the new cool, and this bunny is the coolest one we have ever seen! 6. 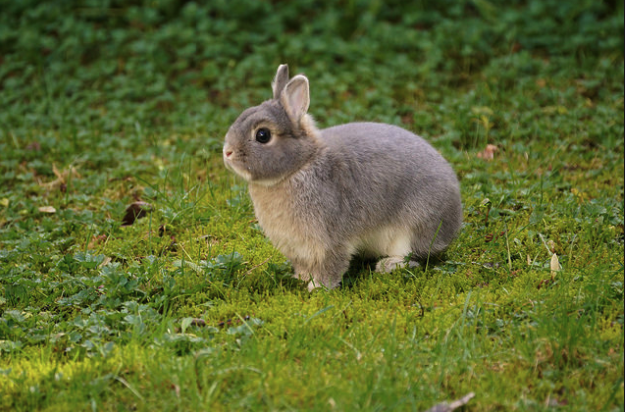 This bunny reminds us of Judy Hopps, a character in Disney's animated movie - Zootopia. 5. Another monochrome coat color! 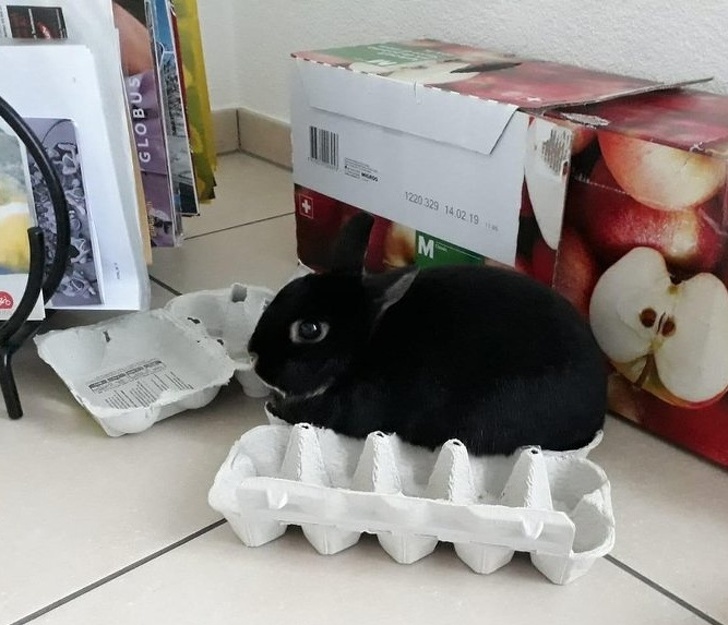 We need a bunny like this. 4. 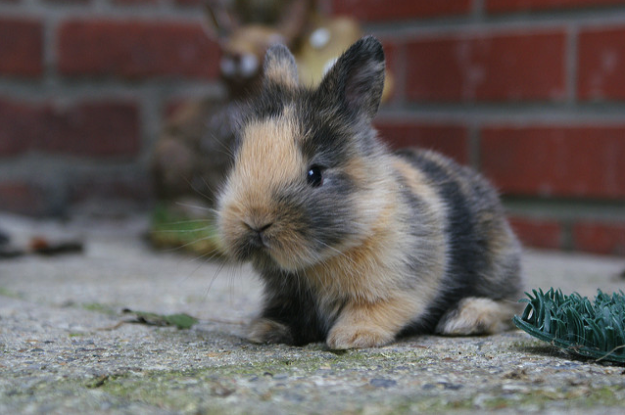 Distinctive long ears, beautiful brown coat color, and adorable whiskers. This rabbit is the real deal! 3. 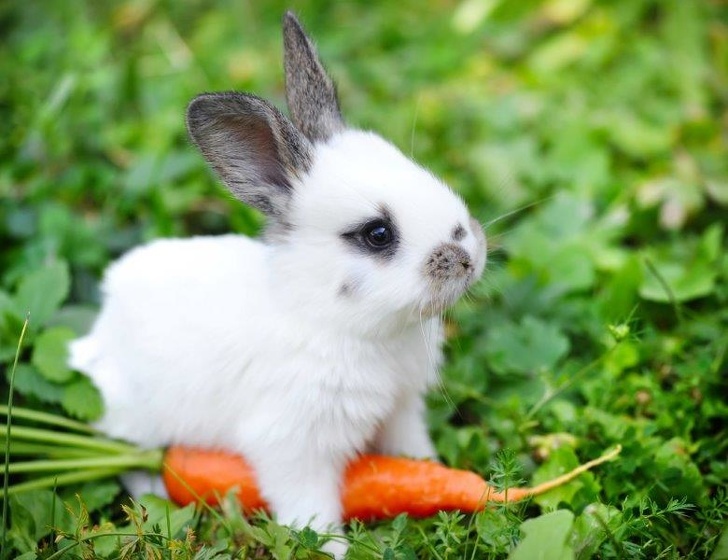 Even though carrots are not truly bunnies’ best food, we cannot deny the fact that they love chewing it. 2. Love is in the air! 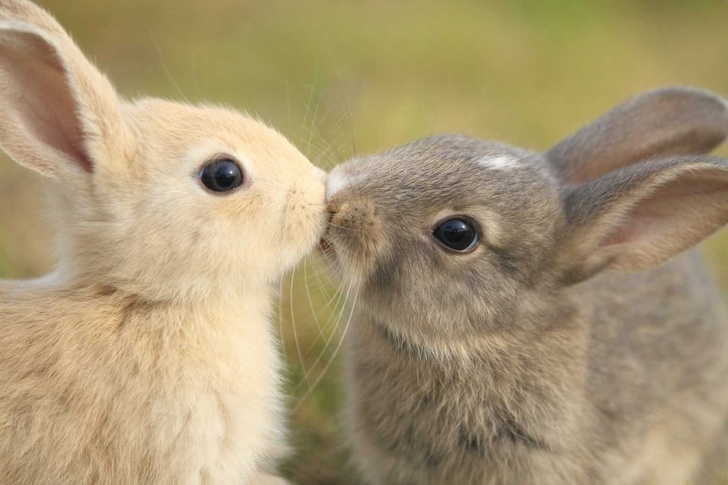 True love exists in a rabbit's world too. 1. 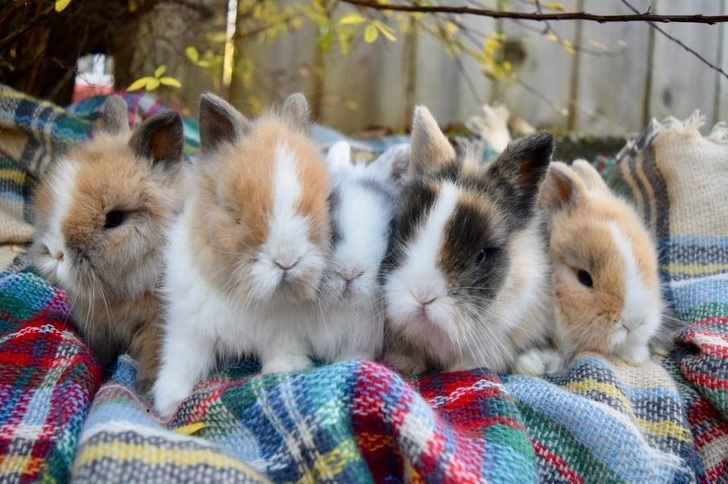 This is such a beautiful sight; nothing is more charming than this group of bunnies. 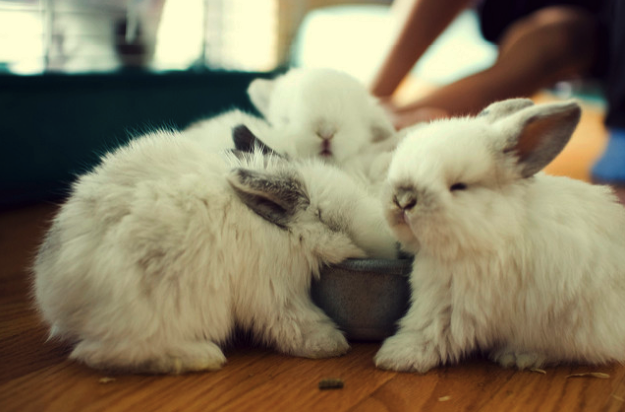 After thirty photos of these incredible bunnies, certainly, your love for rabbits has grown a bit. 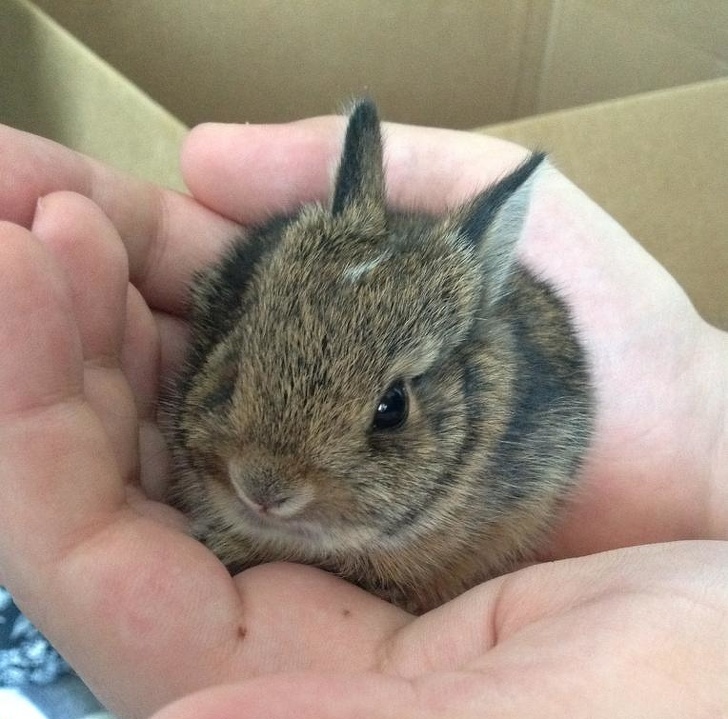 Do you find bunnies as adorable as we do? Do you have one as a pet? If not, would you mind getting one as a pet? Let us know your thoughts in the comments. 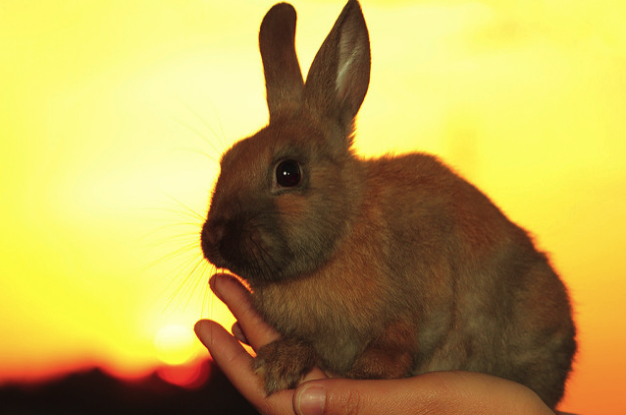 Make sure to share this article with others who need to see how cute rabbits are, and inspire them about Easter! 11 Unexpected Ways Cats Tell Us "I Love You"